Bottom Line: An simple path to tasty, vibrant, balanced margaritas. 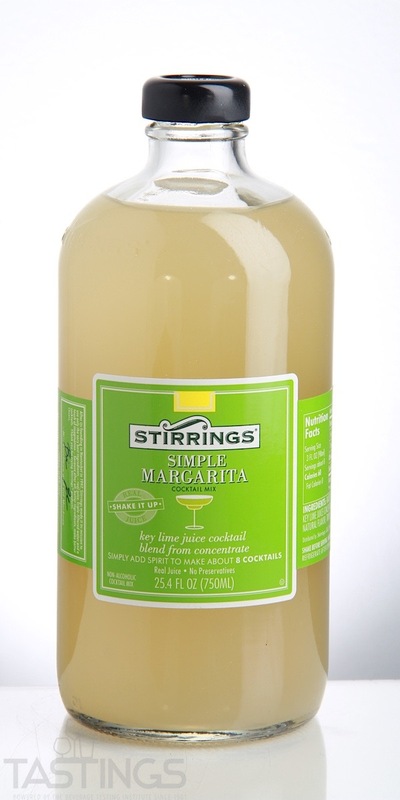 91 • Stirrings Simple Margarita Cocktail Mix 0% (USA) $6.99. 84 • Stirrings Simple Bloody Mary Cocktail Mix 0% (USA) $6.99. 86 • Stirrings Authentic Grenadine 0% (USA) $4.99. 87 • Stirrings Stirrings Simple Syrup 0% (USA) $4.99. 86 • Stirrings Dirty Martini Olive Brine 0% (USA) $4.99. 86 • Stirrings Blood Orange Bitters Syrup 0% (USA) $4.99. Stirrings Simple Margarita Cocktail Mix rating was calculated by tastings.com to be 91 points out of 100 on 5/16/2018. Please note that MSRP may have changed since the date of our review.